Kammenos maintained that the American military presence in Greece could bolster Greece’s defence policy, with the transfer of knowhow, in a period in which new threats are arising. 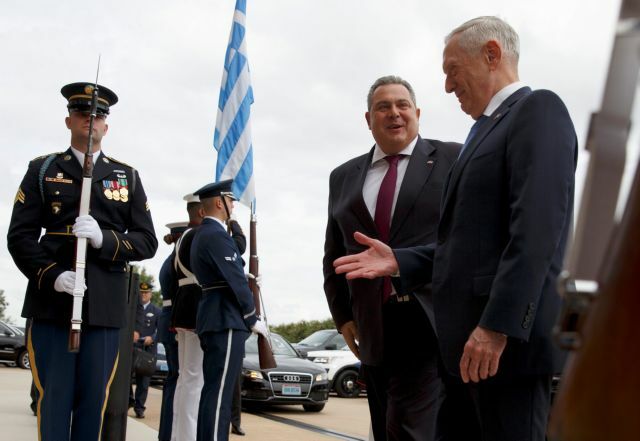 In Washington for an official visit, Defence Minister Panos Kammenos proposed to Defence Secretary Jim Mattis the establishment of three permanent US bases in Greece, aside from Souda. “Greece considers the US a strategic partner and an ally, the only one, I dare say. It is important for Greece for the US to develop military forces in Greece on a more permanent basis, not only in the Gulf of Souda, but also in Volos, Larisa, and Alexandroupolis,” Kammenos said, as quoted by the daily Kathimerini. “There are structures which Greece would find very interesting to come over. Do not forget, we have entered a period in which we have new types of threats. You have cyber warfare and satellite information, and the US has developed many new means, whose presence in Greece can help us very much in our defence policy,” Kammenos said. For his part, Mattis confirmed the close cooperation between Greece and the US in the area of defence. He also expressed satisfaction over Greece’s commitment to spend two percent of GDP on defence, and the recent deal to upgrade Greece’s fleet of F-16 fighter planes. According to American sources, Mattis briefed his Greek counterpart on Russia’s movements in the broader region, and the two agreed on monitoring Russian activity. At a meeting with Wes Mitchell, the US Assistant Secretary of State for European and Eurasian Affairs, Kammenos said that the Greek side demonstrated its “good will”, with the Greece-FYROM Prespa Agreement. Kammenos said that the referendum in FYROM shows that the majority of citizens do not support the agreement, which he said is a factor that will perpetuate irredentism. He expressed his conviction that Skopje will fail to pass the constitutional amendments required by the accord, and he submitted an “alternative plan”, which he said would meet the geopolitical aims of the Prespa Agreement, without touching on the name change issue. 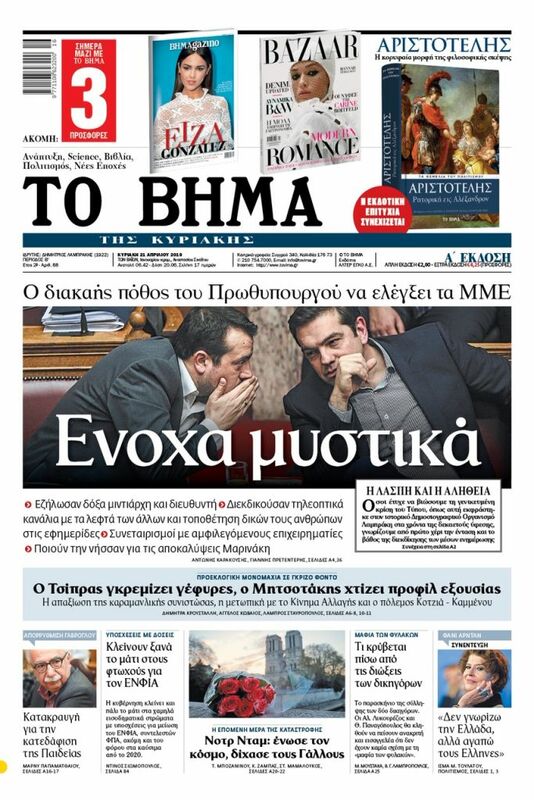 More specifically, Kammenos proposed the conclusion of a defence agreement between Greece, FYROM, Albania, and Bulgaria, and with Serbia at a later date. The objective, he said, is to create an arc of stability at Greece’s northern border. Kammenos said that this will stem Russian penetration in the Balkans and bolster stability in FYROM, and put off the naming issue for the future.